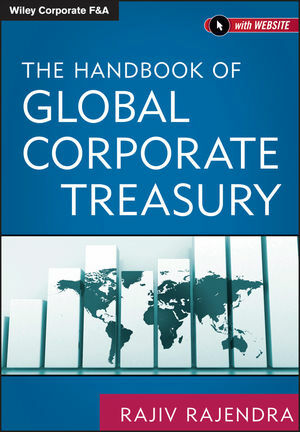 For CFOs and treasurers looking to re-align their treasuries with the growth of the global firm, bankers who seek to maximize the value they create for clients, treasury and finance firm employees, and even finance students, this book provides an easy-to-read approach to this exciting and increasingly complex world. It includes a toolkit that gives practitioners a reference point that they can adapt immediately for use in their firms, providing a low-cost, high-efficiency advisory solution they previously lacked. The Handbook of Global Corporate Treasury serves as a ready reference for anyone interested in the nuances and practicalities of the complex world of corporate treasury. Rajiv Rajendra runs Singapore-based Aktrea Capital, a firm that delivers high-quality, cutting-edge training, consulting, and process solutions in the areas of capital markets, treasury, and risk management. His clients include an array of financial institutions, corporations, and funds throughout the Asia Pacific region. Mr. Rajendra has several years of experience with various aspects of corporate and institutional bankingfrom capital markets to transaction services.